Iguana Sell Pens | MORE AND NEW VISCONTI! 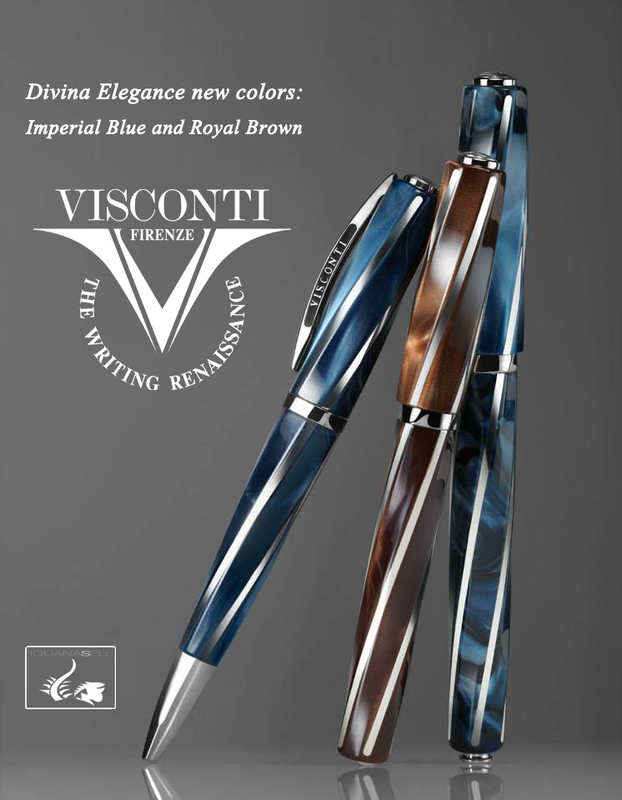 We can’t stop posting about Visconti, each day we discover new collections which are hard not to notice. 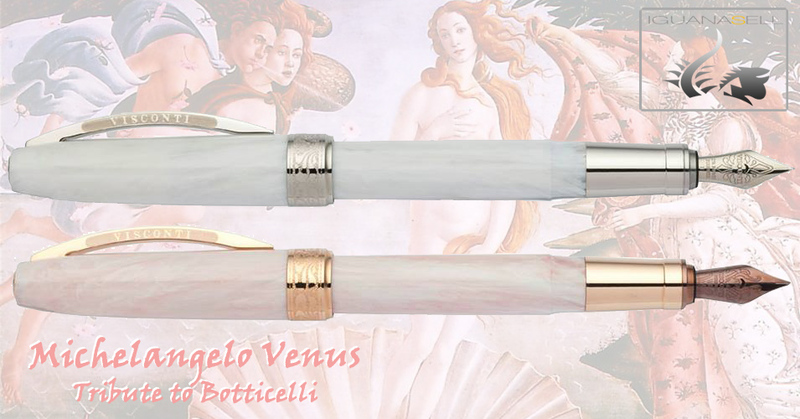 Newest Inspiration for Visconti, the painter Botticelli and his famous painting of the Venus, which are reflected in two different models in pink and white marbled resin, that suit perfectly with their rose gold and platinum trims. They combine in such an harmonious way, it seems you can almost see the painting in your mind. Here we have the new Michelangelo Back to Black, with darkened trims and nib. Its body is made of black Resin, and all of it has a dark colour impression, which reflects elegance and simplicity. Michelangelo is increasing its collection playing with different colours and trims to fit our different tastes. This time we can see a combination of blue resin and rose gold trims, or black resin with platinum trims. Though risky, the final results look very nice! And finally, lets ad more models to the Divina collection. As its own names says, the Divina Elegance demonstrates class and sophistication , with its Pearlescent Resin that twists to one side accompanied by its 925 silver trims. Two different colours are reflected in this new collection: The Imperial Deep Blue and The Royal Brown.